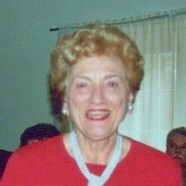 Franca Warden was born in Italy and has been a resident of Solebury Township since 1958. All her life she has worked tirelessly in support of the arts. She is a founding member and chairman emeritus of the Bucks County Opera Association, and she has actively pursued support for young singers through the Academy of Vocal Arts for more than 50 years. Franca was a member of the Board of Directors of the Solebury Township Historical Society for 8 years. She also serves on the Central Bucks Chamber’s visual arts committee and was honored with the Chamber’s Business & Arts Award in 2007. Franca continues to be involved in protecting the arts in her native Italy through the American-Italy Society and has worked on restoration projects in Venice, Assisi, and Florence. Franca inspires us all with her energy and commitment to the arts.